Okay, I almost promise this will be my last HFCS post. For some reason, this subject won’t leave me alone. I was minding my own business reading some online news sources about what’s happening with the auto industry bailout. Nothing about nutrition, nothing about HFCS, nothing about sugar. I just wanted to know what was going on in Washington. Seriously, would you expect to run into HFCS on forbes.com? Forbes — like in money, business, and investing — not corn syrup and sugar. Well, surprise, surprise. I’m reading about the economy and here’s this side column with a teaser, The Skinny On Sugars And Sweeteners. I couldn’t resist. With one click I was knee-deep in artificial sweeteners and soda pop again. I don’t even drink the stuff and I can’t get away from it. So, what do the people at Forbes have to say about sugar? Keep in mind that this isn’t exactly a website for food critics and nutritionists. These are business people (capitalists no less), not holistic health advocates. I also did a post back in September on the HFCS commercials by the Corn Refiner’s Association. If you want to see their deceivingly sweet commercials and read my take on them, click here. You need to understand what their diabolical plans are to understand this response from the King Corn guys. Now, on to the fun stuff. If you haven’t seen King Corn, you must do that. In the meantime, enjoy this spoof of the HFCS commercials from Ian Cheney and Curt Ellis, the creators of King Corn. No more HFCS stuff. I must get on with my life. Go forth and eat healthy food. Real food. I’ll take a hiatus from my ranting and start posting recipes for the holidays. How’s that? P.S. I’m not knocking good, organic corn. I love a nice grilled corn on the cob, but I’m not crazy about the fact that cheap, crappy, unhealthy corn is in everything we eat. If you eat fast food, you’re eating corn, corn, and more corn. Ugh! This entry was posted on Sunday, December 14th, 2008 at 5:15 am	and is filed under Miscellaneous, Nutrition Therapy. You can follow any responses to this entry through the RSS 2.0 feed. You can leave a response, or trackback from your own site. Yes, it’s a good one. I really get a kick out of those guys as well. They are making a statement, but in a rather respectful and humorous way. I love that! There’s a whole bunch of good spoofs on the HFCS commercials on YouTube. People making fun of the “sweet surprise” campaign. Snicker, snicker. I found those hfcs spoofs too and meant to post them and link to your article on sugar, etc. On the same wavelength, eh? Hey Kelly — yes, we seem to be on the same wavelength a lot of the time. Go for it. Hilarious! I can’t believe I didn’t rush over here sooner. You’ve always got something going on that never fails to amuse! Thanks! I appreciate your comments. Some of this stuff is discouraging, so I guess we might as well amuse ourselves along the way. Corn, one of the big three … no, not that big three … the big three that make up the majority of the Standard American Diet, all in the processed foods, of course. 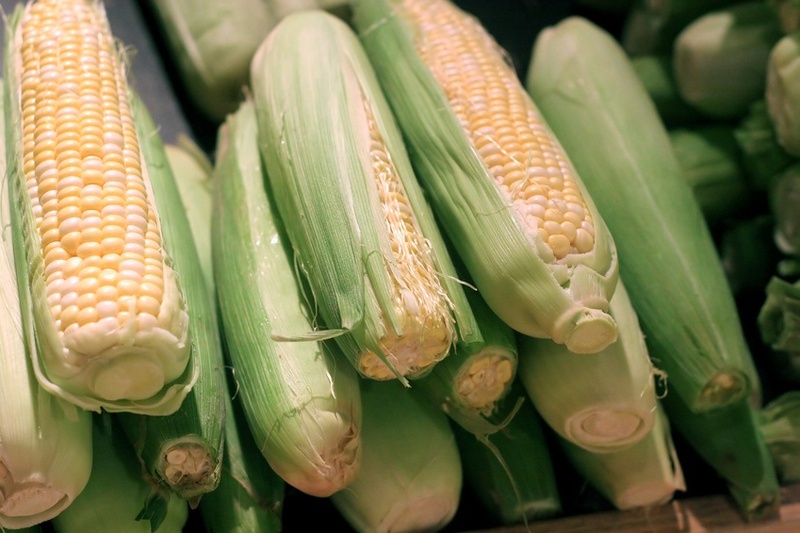 Real corn is another matter … a wonderful seasonal delight! Very funny. i really enjoy this video. thanks for sharing. Shirley — yes, REAL corn is a sweet treat! Diana — no, I haven’t tried them yet. I’ll let you know what I think when/if I do. Let’s compare notes on that stuff. My mom is diabetic so I try to stay up on what’s going on in the sweetener world. Mercola — yes, the King Corn guys have a good sense of humor and fun. Sometimes all you can do is laugh. Pete — plus, the fact that you have celiac makes dealing with sugar even more difficult. Long story on that, but yes, we are much better off staying away from that stuff for a variety of reasons. Hope all is well with you!